Released in 2007, this documentary examines the enormous impact that corn plays in the American diet. From feeding our cattle to high-fructose corn syrup, perhaps no other food has become so pervasive in the American diet. Is it good for us long term? There is plenty of debate on both sides of the aisle. 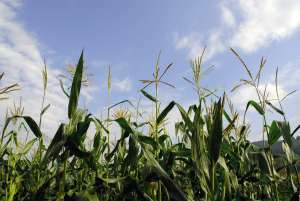 Farmers depend on this crop for income, but should we really be consuming it in such quantities? Watch this video interview with Curt Ellis, one of the film makers. Whatever your belief about this grain, it’s well past time we have a real dialog about the health and economic impacts of this crop that consumes a large part of our farming resources. If you are interested in learning more about the film, you can also check out the website here: King Corn. Start Eating Your Berries Today!